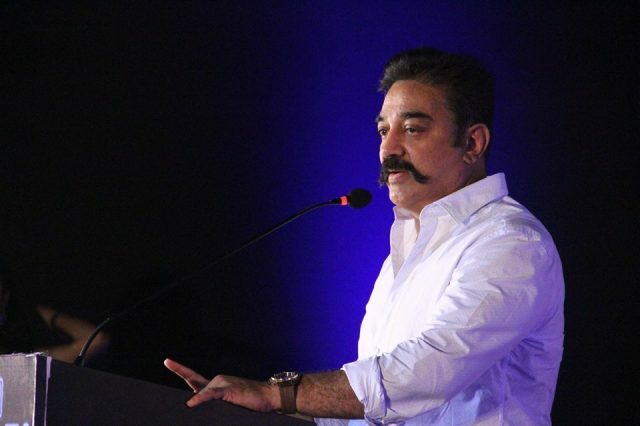 Kamal Haasan has thanked Rajinikanth for taking a stand on the double taxation issue and supporting their industry. The much-loved Kamal Haasan just took to Twitter and thanked his good friend Rajinikanth for speaking out on the double taxation issue facing the Tamil film industry these days. The ‘Indian’ actor said that he was really grateful to the superstar for voicing his opinion on the matter. “Thanks Rajni avaragaLay for voicing your concern. Lets request first as gentlemen should. Then we shall see. @superstarrajini & TN .Govt,”he posted. In case you did not know, yesterday, ‘Thalaiva’ had requested the Tamil Nadu government to take the request of the film fraternity seriously. Moreover, he made it clear that the 30 percent municipal tax imposed on films was not justified as it affects the livelihoods of numerous people. “Keeping in mind the livelihood of Lakhs of people in the Tamil film industry, I sincerely request the TN GOVT to seriously consider our plea,” he had added. Interestingly, just like Rajini, Haasan too had earlier spoken out on the issue and criticised the state government for implementing a tax on top of GST. “Before Bihar used to be the Nation’s whipping boy when it came to corruption. Now TN has left Bihar leagues behind. Film Industry is one among the many Industries asphyxiated by the prevailing systemic corruption in the State. I anticipate even stronger protests soon,”“ he had said. Well, we must say that this is a difficult time for Kollywood, indeed! Let us hope that the matter gets resolved ASAP and current theatre shutdown comes to an end.